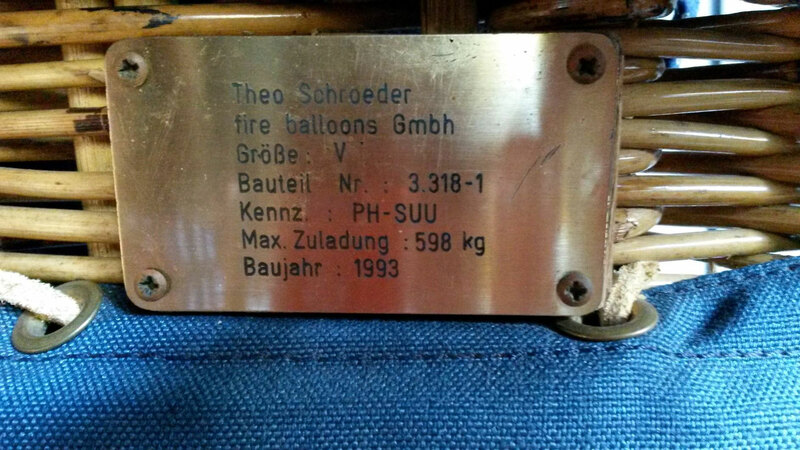 PH-SUU, Schroeder Fire Balloons G 36/24, built 2001, 360 flights, 380 hrs. 3.600 m3 / 126.000 ft3. 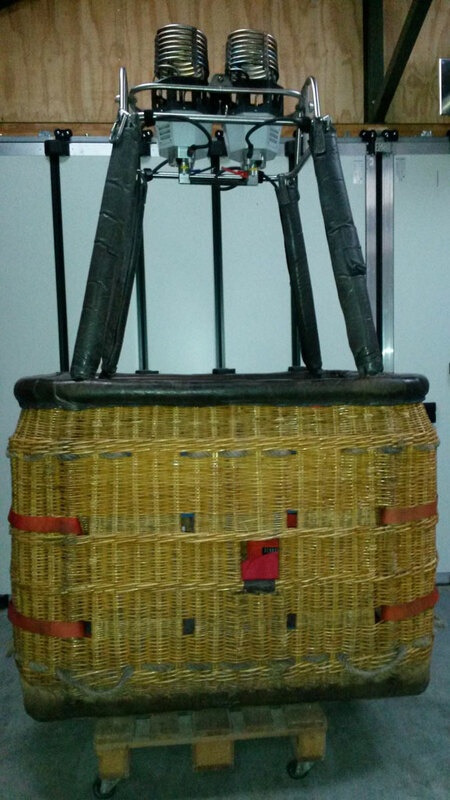 Thermogrip parachute + 1 row. Smart vent, turning vents. Grabtest OK, colors look very good but beginning signs of porosity. 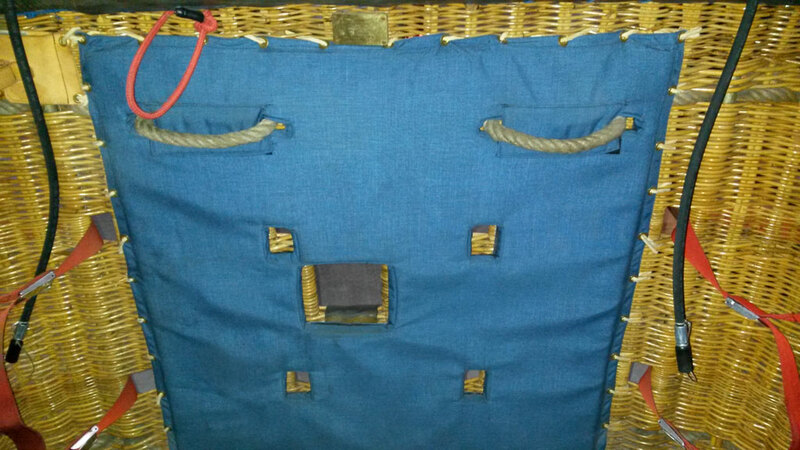 Schroeder Fire Balloons V basket, built 1993, outside dimensions 1.55m x 1.15m x 1.20m. Dark grey leather top rim, sidewall padding, cushion floor, fire extinguisher, first aid kit, fire blanket, drop line, pilot restraint harness, built-in transponder antenna, quick release. 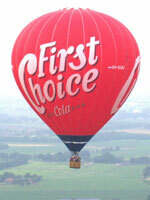 Schroeder Fire Balloons FB6 double burner, vapour pilot light, REGO fittings, hoses valid until 06/2025. 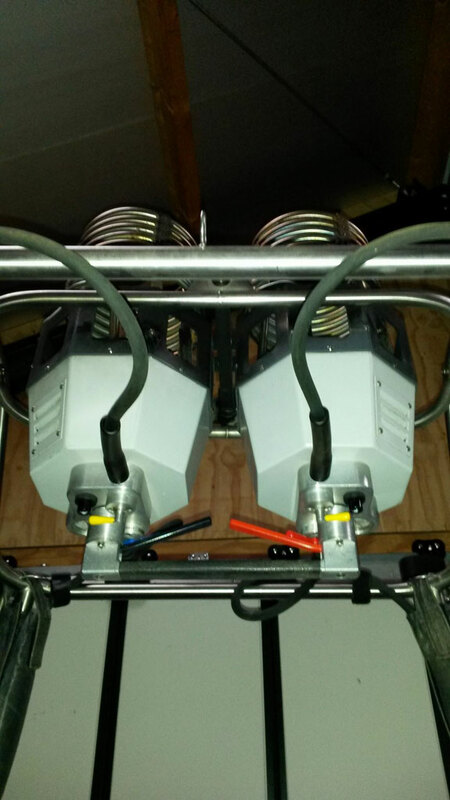 Height adjustable frame. 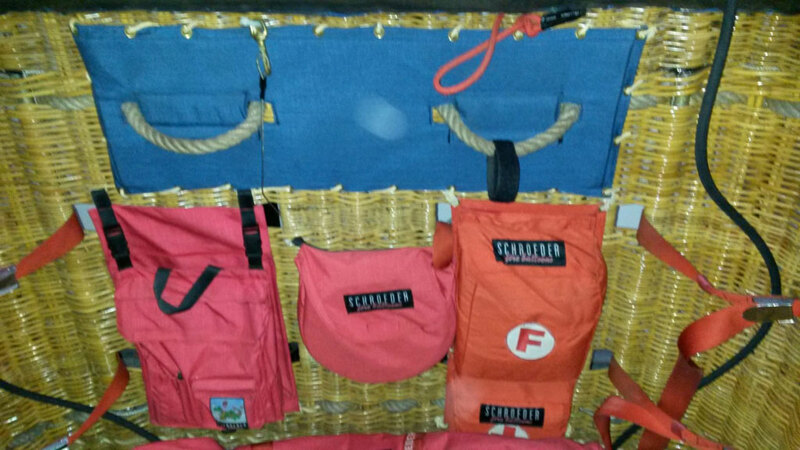 All inspections and repairs caried out by Schroeder Fire Balloons. ARC valid until 26/06/2019. Listed in category Complete Balloons since 14-03-2019.